Heavy Rotation: 10 Songs Public Radio Can't Stop Playing : World Cafe Hear new music by country veteran Marty Stuart, former Gossip frontwoman Beth Ditto, psychedelic hip-hop duo Shabazz Palaces and more in April's playlist, curated by public-radio hosts. 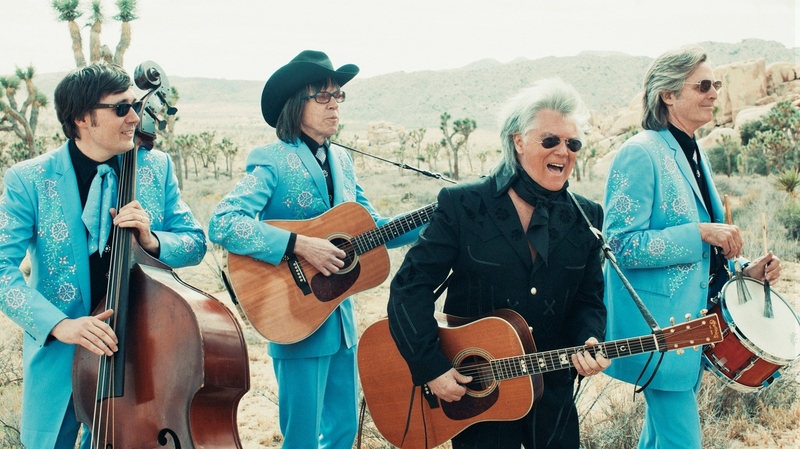 Hear new music by Marty Stuart, Beth Ditto, Shabazz Palaces and more. Marty Stuart's "Time Don't Wait" is a favorite at The Current in St. Paul, Minn.
Every month, we at NPR Music convene a panel of hosts and music directors from the public-radio family across the country. Their objective: to share the new songs they simply can't get enough of. Some of our panelists delight in the surprise of a well-established band's latest offering; others shine a spotlight on a younger, local artist on the verge of breaking out nationally. Either way, it's a singular opportunity to discover something new. This month's mix includes a standout song from country veteran Marty Stuart's most recent album, former Gossip singer Beth Ditto's rock 'n' roll solo single, a disco-inspired track by Chicago rapper Ric Wilson and more. Hear The Current's Bill DeVille, KXT's Amy Miller and WFPK's Sean Cannon share their selections at the audio link, and read on for the full list. 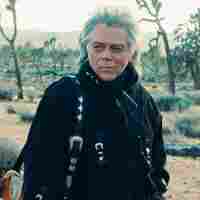 I've been a fan of Marty Stuart for years. A professional musician since age 12, Stuart did stints in Lester Flatt's band and played with Johnny Cash in the late '70s; later, along with Tom Petty and the Heartbreakers, he played on The Man in Black's Unchained album. And if that's not enough, Stuart also had a string of country hits of his own in the '90s and has partnered with Travis Tritt for several more. Lately, Stuart been making some really cool albums with his trusty band, The Fabulous Superlatives. 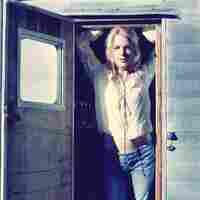 The latest is Way Out West, produced by Heartbreakers guitarist Mike Campbell. The album gives Stuart a chance to show his love of some of the California music he grew up with, like Merle Haggard, Buck Owens and the Bakersfield sound. It turns out Stuart is also an unabashed fan of The Byrds; he talked about it in my recent interview with him. In fact, his favorite guitar once belonged to the late Clarence White, who was in The Byrds in the late '60s and early '70s. "Time Don't Wait" features that signature, jangly Byrds sound, assisted by The Fabulous Superlatives' guitarist Kenny Vaughan on Campbell's trusty 12-string Rickenbacker guitar. It's not uncommon for a musician to branch off and pursue a solo project after playing in an established band for several years — but when the singer branches off, the pressure is on to prove herself as a songwriter. After 17 years as a band, Gossip decided to call it quits last year, and singer Beth Ditto has bounced back with a song that is one of my favorites of the year so far. "Fire" sounds like it's equally inspired by the lo-fi garage rock sound of Gossip's early albums and the synth-driven sound of its final album (as well as the solo EP she released in 2011). The song starts with a guitar melody that sticks with you until the end, and the dynamic shift when the chorus kicks in creates a very powerful moment — proving that Beth Ditto is an incredible songwriter and singer, regardless of who is accompanying her. Ishmael Butler has always tried to expand the sound of hip-hop — first with the jazz-rap outfit Digable Planets, and these days with Shabazz Palaces. The fuzzy, psychedelic space-soul ballad "Shine A Light" exemplifies this by musically embracing both the past and the future. It's part of a concept album, Quazarz: Born On A Gangster Star, about an alien who visits Earth and is dismayed by what he sees. While the entire conceit isn't clear in "Shine A Light," the interplay between detached, observational lyrics and hazy elevator music hints that something otherworldly is involved. With all apologies to Spiritualized, this is what I imagine it really feels like to be floating in space. In her new song, Lincka Elizondo hands gardenias — white flowers that symbolize love and protection — to Latinos who aren't as fortunate as her. Lincka, who has Mexican heritage but was born in the United States, says it's important for her to use her platform to represent Latinos that don't have the same legal protections as she does. At points in the song, she expresses defiance: "Yo nací aquí / No me pueden tocar / No me pueden tocar." ("I was born here / You can't touch me / You can't touch me.") The lyrics provide a counterweight to the bouncy rhythms of the song, thanks to rich samples from producer Dan Ashford and the light guitar plucking of Salvador Chavez. The 20-year-old Oklahoma City singer plays with the listener a little bit too. While singing mostly in Spanish, Lincka lets loose a little English halfway through: "I betcha dyin' to know what I'm sayin' but, I'll let you Google Translate it." Sofia Verbilla pens stories just as much as she writes songs. 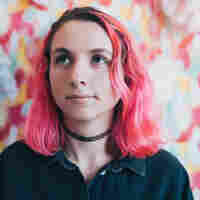 The 18-year-old leader of Harmony Woods is an acute observer of the world around her, full of curiosity and empathy, and she folds a generous amount of narrative detail into the band's debut, Nothing Special. The album sonically parallels emo-revival acts like Sorority Noise and Modern Baseball (the latter's Jacob Ewald produced Nothing Special) as well as emotive singer-songwriters like Mitski. Its songs track the dissolution of a toxic relationship, but this is no broken-hearts-club tale — Nothing Special instead focuses on themes of mental health and self-care, encapsulated in the inviting lead single, "Jenkintown-Wyncote." Named for a regional rail station near Verbilla's home in the Philadelphia suburbs, it details the anxiety of travel – both in the literal sense of riding a train into the city ("Trees pass by as the windows shake / the brakes squeaking without fail") and the emotional and metaphorical sense of moving outside of one's comfort zone. The narrator is nervous and uncertain, but the drums are punchy and the guitar shimmers, whisking them to a destination full of cautious optimism. From juke to house to footwork, Chicago has a rich and storied relationship with dance music. House music in particular is so ingrained into our cultural fabric that there are even streets named in honor of the city's dance pioneers, Kenny "Jammin" Jason and the late Frankie Knuckles. House has a reputation for being communal, spiritual and emotive, and it's that transformative atmosphere that Chicago activist and artist Ric Wilson evokes on his new EP, Negrow Disco — particularly on the disco-infused, HYE SUNG-produced "hangloose." During the creation of this EP, Wilson found himself captivated by Chicago's history with dance music; he was particularly inspired by the queer people of color who paved the way for movements like disco and house. "hangloose" is a soulful celebration of individuality and Chicago's deep house tradition. Psychedelic glam-rock band Pond continues to evolve its sound on its seventh album, The Weather. Formed in 2008 in Perth, Australia, Pond includes former members of Tame Impala; once again, Tame Impala mastermind Kevin Parker is producing. The Weather retains Pond's playful spirit while showcasing a maturity that expands on the band's always-creative sonic palette. The dreamy title track is the album closer, and it is a soaring thing of beauty. With its ethereal, layered synths and the moody, vocoder-laced vocals of guitarist Nicholas Allbrook, it's a beautiful way for Pond to end this gorgeous and ambitious new album. Will Sessions is the Detroit-based funk ensemble that's been dropping new material in prolific measure the last few years. 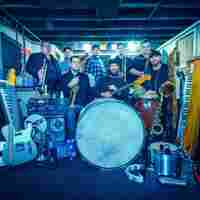 With the release of its latest album, Deluxe, the eight-piece band lays down its own special brand of musical "stank" that fuses funk, R&B, soul and jazz. That blend is clearly on display in the single "Shake it Up, Shake It Down," which elevates Will Sessions to the head of the class in new-school funk bands. 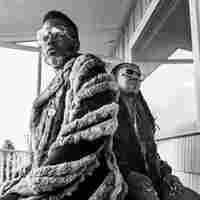 The song features vocals from Florida's "King of Funk," Rickey Calloway; at times, you'll swear James Brown is jamming beyond the grave, as Calloway channels late-1960s-era Brown in a way that is authentic, funky and uplifting and Will Sessions provides a musical backdrop that is every bit as genuine as The J.B's'. The end result is a funky ditty that grabs you right away and won't let you go until the very last note. The opening bars of "Mountains" immediately call to mind "Your Phone's Off The Hook But You're Not" by West Coast punk pioneers X. Deep State is a worthy torchbearer of the good-time-rock-everyone-decided-to-call-punk that John Doe and co. brought to light in the early 1980s. "Mountains" shows us how to be defiant and pleasantly melodic. As a whole, Thought Garden bursts with poppy positivity that lacks the snide whine of its more commercial peers — I don't feel like I'm being sold an image or an attitude or a genre. Whether you want to call it punk rock, rock and roll or "American music," Deep State is well worth searching out — you just may want to start somewhere other than Twitter. So you're longing for something. Maybe it's a new home. Maybe it's a new love. Maybe it's a new life. Sound familiar? Amilia K Spicer's "Fill Me Up" falls back on a theme you've heard before: that search for the unidentifiable thing or person or place that'll make you feel fulfilled, if only you could find it. The theme is so familiar, in fact, that "Fill Me Up" could be just another angsty song, the kind you can find on any radio station, no matter the genre. However, thanks to the way Spicer lets her mellow alto rise, fall and slip-slide its way through verses and choruses, this angsty song strikes a powerful chord. With the addition of an incessant boom-chick-chick rhythm provided by the percussion and guitars, and the sawing drone of a gentle violin in the background, "Fill Me Up" takes a tried-and-true theme and creates something catchy and memorable.